Columbia Prime Dental is ready to serve all of your dental needs. 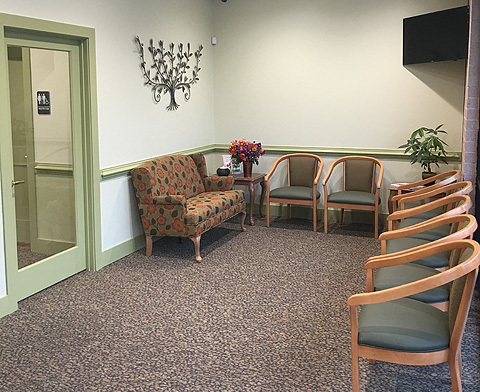 Welcome to Columbia Prime Dental of Elkridge, MD. Dr. Ludmila Tchakarova and our friendly, knowledgeable staff are dedicated to making every visit to our office a great experience. Expert dental care is provided with a warm, personal touch in a comfortable, relaxed setting. Our focus is on the health and well-being of the community, which is why we believe high-quality, affordable dentistry should be easily available to everyone. For many, the expense, discomfort, and anxiety associated with a trip to the dentist's chair is enough to keep them away until a minor problem becomes one that requires costly and uncomfortable treatments. We work to provide a positive, relaxing experience for the entire family, making it more likely you'll visit us when you need to and get a brighter, more confident smile as a result. We offer convenient financing options and accept a wide variety of payment types, making it easier for you to fit your family's dentistry needs into your budget. The first step towards a beautiful smile and a lifetime of good oral health is to schedule an appointment. Our office works with numerous Insurance Carriers. For your convenience, we offer a variety of payment options. Call or email Columbia Prime Dental today to schedule your appointment. We look forward to serving you for years to come!